Christmas in London isn't complete without a trip to one of its many ice skating rinks. Ice skating is the kind of activity that the whole family can enjoy, regardless of age and ability. It also makes a fun winter date idea if you fancy something a bit different from your local restaurant or cinema. Below you will find a mix of indoor and outdoor rinks, as anyone who has been to London before will know just how unpredictable the weather can be. The ice skating rink at the Natural History Museum is one the most famous rinks in London and it's worth a visit if you're planning on going to the museums over the festive period. As well as the ice rink, you'll find a fairground carousel and a café. Skaters can also attend a chocolate workshop run by Hotel Chocolat or enjoy singing along to Christmas tunes during the choir nights. Why not check out London's first rooftop rink this year? Afterwards, you can wind down with a glass of mulled wine or a cocktail, or snuggle up in a cosy igloo overlooking the city's iconic landmarks such as The Shard and the Gherkin. Canary Wharf is home to one of London's only covered outdoor ice rinks, so it's ideal for a rainy day. The rink is lined with trees and sculptures, making skaters feel like they have stepped into a winter wonderland. Don't miss the rinkside bar, which offers a BBQ menu, festive cocktails and craft beer. Open seven days a week, The Winter Forest will be home to live music from some of the UK's breakout music talent, special visits from Father Christmas himself plus many other special events. It's very close to Spitalfields Market so perfect if you need to do some Christmas shopping. Early risers can head to Broadgate in the morning for some skatercise. Drop by Clapham Common for a quick ice skating session in Winterville, South London's answer to Winter Wonderland. When you're done skating, get a bite to eat from one of the stalls or catch a film at the Backyard Cinema. This year, you can choose from classic Christmas flicks such as Elf, Home Alone, Love Actually and The Holiday, or singalong to blockbusters like The Greatest Showman, Beauty and the Beast and Moulin Rouge. Most Londoners will be familiar with the ice rink at Somerset House, but if you're new to the area it's definitely one to add to the list. In the lead up to Christmas, the courtyard of Somerset House transforms into an ice rink, with a giant Christmas tree and an alpine lodge from Fortnum & Mason. Daytime skaters will enjoy browsing for gifts in the Christmas Arcade, while evening skaters can head to the Skate Lates club nights after work. 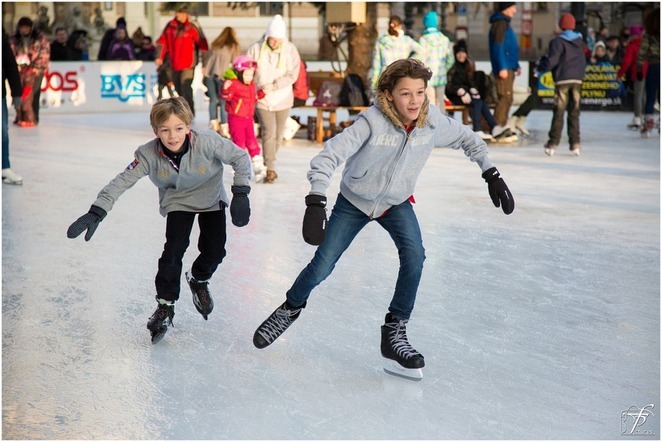 Whether you're an expert or a novice, ice skating in Winter Wonderland is a truly magical experience that is bound to get you into the festive spirit. Winter Wonderland is the UK's largest outdoor ice rink and is illuminated with more than 100,000 lights and centred around a Victorian bandstand. Being in Winter Wonderland, there are plenty of other things to do besides ice skating; treat yourself to delicious hot chocolate or churros from the stalls, or hop on one of the rides. Top tip: Winter Wonderland can get incredibly busy, so head to the ice rink on a weekday morning to avoid the crowds. Situated in the dry moat of the Tower of London, this ice rink tends to be less busy than other skating venues in London, which is surprising given its iconic backdrop. Glide across the ice and watch out for the skating staff, who dress up as Beefeaters. Combine your skate sesh with a tour around the castle and be dazzled by the Crown Jewels. If you feel like venturing a little further afield this Christmas, hop on the train to Streatham, which boasts the city's only Olympic-sized indoor ice rink. Along with public sessions, the centre also offers Ice Discos, Ice Hockey, Ice Dance and Figure Skating. Penguin aids are on hand for kids or anyone else who may be less steady on their feet. Walthamstow Winter Wonderland is a new addition to London's ice skating venues for 2018. Up to 40,000 people per day will be welcomed to Walthamstow Town Square Gardens for this festival, which features street food, a Christmas market, Santa's grotto and an ice rink, complete with twinkling fairy lights. Only 95 people will be able to fit on the ice at a time, so make sure you book in advance to avoid disappointment.